Newcomer Family Obituaries - Patrick M. Fey 1962 - 2018 - Newcomer Cremations, Funerals & Receptions. Patrick M. Fey, 56, of Akron, passed away December 3, 2018 following a lengthy battle with cancer. Patrick was born in Youngstown, Ohio on September 24, 1962 to the late Louis and Betty Fey. 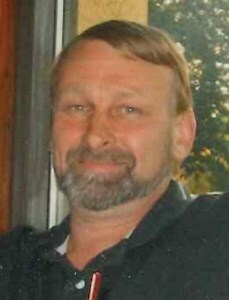 He was employed by the City of Akron, where he worked as a Heavy Equipment Mechanic. Patrick enjoyed restoring tractors and gardening. He never met a stranger and his friendliness will be missed by all who knew him. Patrick is survived by his loving wife of 37 years, Theresa Fey; children, Amy (Steven) Warner and Christopher Fey; grandchildren, Donald, Bailey, Kayleigh and Brooke; sister, Connie Duncan, and many nieces, nephews and extended family members. Private services will be held. To leave a special message for the family online, please share a memory below. Add your memories to the guest book of Patrick Fey. Hello Terri and children. I remember your father such a nice friendly special person. My husband Mike Haller and I would hang out with you're mom and dad. Such good times. Cherish the memories. My husband has passed as well. Love each other. Will miss him he was a very good man always there for everyone a very giving and gentle person glad to have been able to know him hugs and prayers ?? Hugs and prayers to you, Terry and Amy. Don't know of a more lovely and caring young man ever that I was blessed to have met. He sure loved you and knew how much you loved him. I'm a call away anytime. God Bless All His Special Family. Pat was mine and my husband Michaels best friend. We hung out together. We vacationed together. We spent holidays and birthdays together. He was loved dearly by my family especially my Dad and my Dad had great judgement when it came to good people. My husband spent many evenings and weekends working with Pat on tractors and they always had a list of projects and chores they couldn't wait to do together. Pat would do anything for me and proved that many times. He was one of the good ones. He was all about family friends his country and putting in a hard days work. There could be no truer more generous kind hearted friend. We love you Patty Paws but we will always remember to "never act like you"! Ill be sure to always play you a tune. We will always keep our memories of you close to our hearts. Watch over us buddy - we know we can always count on you. We count it an honor to have known you Patrick Fey. You are a gem. God bless your family. Much love, Lonnie and Sue Warner.